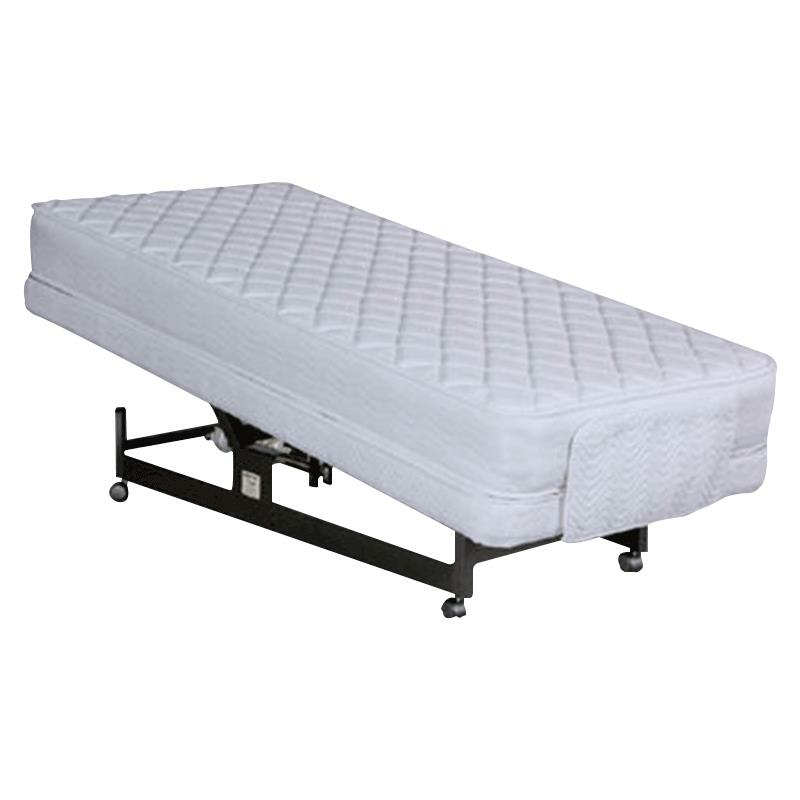 Brand/Manufacturer: MED-LIFT & MOBILITY INC.
Med-Lift Sleep-Ezz Acid Reflux Bed is designed specifically for the treatment of Gastroesophageal Reflux Disease (GERD), commonly known as Acid Reflux. This bed reduces acid reflux by allowing the body to remain straight, while elevating the upper body up to eight degree. Bed stays flat while the head portion is raised at a straight angle as recommended by physicians. Buy this product and earn 48 Reward Dollars. Lifetime warranty on the bed base and 4Ãƒâ€šÃ‚Â years warranty on parts and labor covering all electrical components. Mattress warranties vary according to the specific mattress purchased with base. Can you tell me what inside delivery actually entails? Thank you for your inquiry. The inside delivery actually entrails inside delivery and assembling of the item with an additional fee. What are the dimensions for just the base (full)? I want to use my existing mattress on top of an adjustable straight incline base, but need to make sure it will fit in my bed frame. Please note that the full bases that are extra long are of 54"x80" and the standard length full bases are of 54"x74".